At the beginning of the month, The Real Deal reported that Facebook and Vornado Realty Trust were in talks to expand the social media giant's presence at 770 Broadway, the landmarked building on Astor Place. Those talks looked as if they might lead to the end of Kmart, which opened a three-level store here in 1996. Vornado ... recently paid roughly $46 million to Kmart – whose department store occupies about 30,000 square feet on the ground, mezzanine and lower-level of the building – in what appears to be a buyout of the retailer’s lease, according to city property records. Observers said it’s unlikely that Vornado boss Steve Roth would take such a risk without a replacement tenant lined up, and speculated that Facebook could be looking to make a splash with a high-profile storefront, a la Microsoft’s store on Fifth Avenue. However, as some EVG commenters pointed out, the store was in the process of a renovation — unlikely to be going through this before a closure. I went to Kmart to get pajamas for my mother, and saw some construction, new flooring, etc. The escalator to go up was closed and the elevator was not working (as usual). Everything from the second floor — men's, shoes, etc., was on the first floor and in the basement. So I initially thought, oh, so they are remodeling the top floor first. I asked, and found out that — no! The second floor is now rented out to someone else. There will be only the basement and first floor. And to boot, less merchandise, even though they said things were just condensed. So condensed, they no longer exist — like pajamas! That whole lingerie/home wear section — all gone. The help they offered was to get it online. I don't want to get it online, order it, wait for it to come in, wait on line to pick it up, just to find out I may or may not like it or have it fit. Other people I spoke with were pleased that Kmart was still a (mostly) affordable option for some basics. 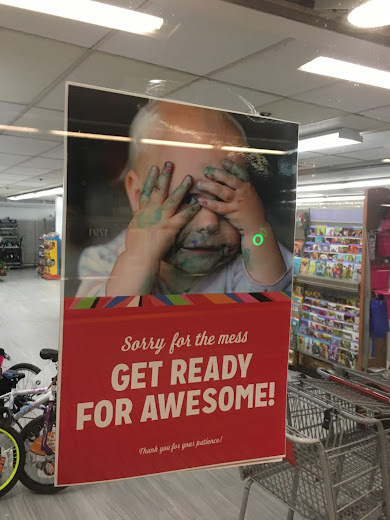 So the glass is half full, but at least there's something in it... Glad the store will remain in some iteration. That second floor cafe used to be my secret hangout. Even when they closed the cafe, I’d go up there just to look out that great big window. K-Mart is not affordable!!! At least this location! Every home good they sell is massively over priced. That’s what Kmart calls a renovation? EV Arrow would have done a better job on the signage. Look at the cut and paste job they did on that revised directory. They couldn't even afford to go next door to Kinkos and have professionally made signs made up? 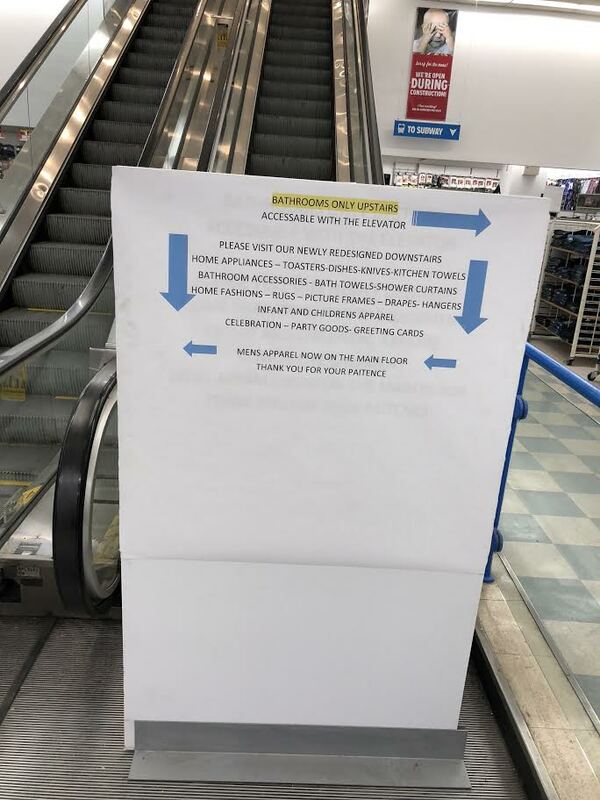 To top it all off, they misspelled “accessible.” This is just part of the reason why, along with the old 2nd floor, Kmart will no longer exist in a couple of years. Mentally, I was all ready for Kmart's departure. I thought a fresh look would've been nice for that block. Oh well. Never thought that I'd say it, but I'm glad they are staying. In this neighborhood it has become hard to find basics at a reasonable price, and they employ people who, let's face it, would never be employed in the trendy, artisanal, "progressive" places that have become the norm here. Does this mean I'll be standing next to Mark Zuckerberg at the urinals when I run in to use the bathroom? I'm glad they're staying. I thought they wasted too much space on clothing and food, and could do better with more tools, housewares and electronics. Time will tell. Good news for the hood. We need retail. I certainly hope they stay. It's just about the maximum distance I can lug a 20 lb. bag of cat litter. Man I never knew about the K Cafe! Now there's a cult locale. I was there recently while they were clearing out the second floor. An employee said they were moving everything down to the first floor and the basement, and it sounded like they were staying open. I am glad they will remain. I rely on this store for cheap basics, and it also employs a lot of people. I'm glad they are staying! But my one immediate question is: Where are they moving the bathrooms???? For all those feeling nostalgic about the K Cafe, here’s a 1996 NYU student film about seemingly nothing. Set entirely inside the Astor Place Kmart, with a brief interlude in the K Cafe. With no sound. And no script. And some guy taking a crap in the bathroom. Pretty weird. And then there was the time that U2 did a pop up concert at Kmart to promote their Popmart tour in 1997. Who said U2 was never blatantly commercial? Simpler times. This is hilarious: we have reached the sorry end of culture. Facebook up against K Mart. It is so fitting. When a man reaches a certain age, for clothing options, K-Mart is there for you. Glad to see it will stay open. Major financial/retail issues with the parent company, Sears, as with all brick and mortar stores, even those with a robust on-line presence. Check. Pls leave Burlington alone! We need stores like Kmart, sorry they were downsized though. Part or mostly due to poor management. There is no larger store from 14 St to Houston, Kmart is it. Other than Kmart, there are only chain drugstores as far as ~larger~ stores. I remember the K Cafe very well. There wasn't a more peaceful place to overlook the cube and the square on a winter's morning. The whole neighborhood looked magical from that vantage point. Yes, the hot dogs spinning in the warmer...the cafe was great. Never got why no one ever went there. 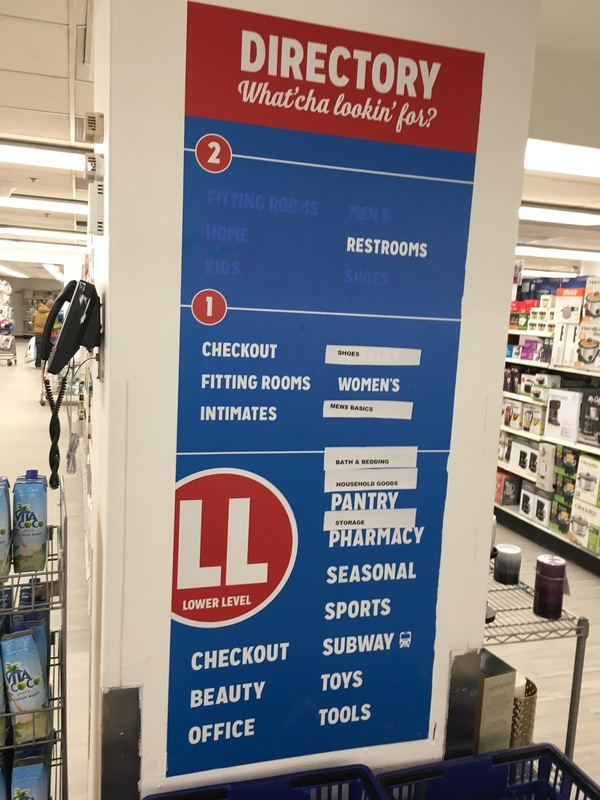 Perhaps this will mean that they have three floors of merchandise crammed into two floors, which will mean smaller aisles. If that is true, then the place might actually look busy for change. Like Trump says...Wait and See. 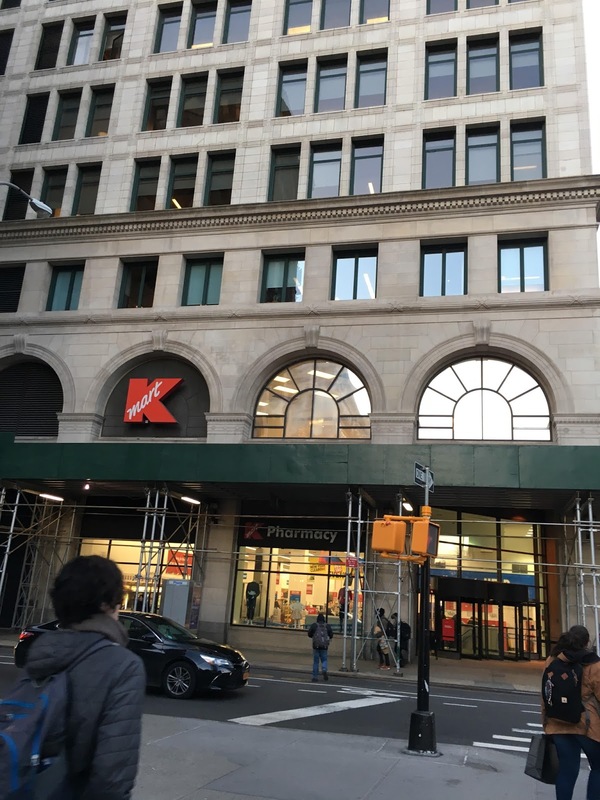 No one needs KMart - it's a lame chain and should have never come into Manhattan. 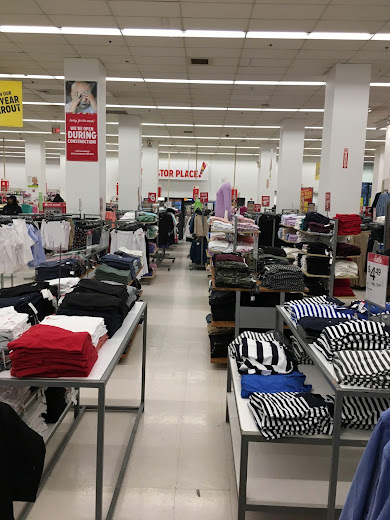 Love Kmart Astor! That scaffolding is probably one of those sketchy tactics for Vornado Realty to try to push them out--it's been up for over 10 years!